My right shoulder and entire lower left side of my body have been giving me trouble since Miami. I’ve been going to chiropractor and physical therapy for the hip/hammy/IT band for a while, seeing small, steady improvements, which have also been improving with better running form. Then the right shoulder reared its ugly head. I didn’t hurt my shoulder from a crash, nor from swimming. Rather, my shoulder impingement occurred from putting my gym bag in the car. Yes, putting my bag in the car. To say that was aggravating would be an understatement. So Coach Monster said “no swimming” for a week. Therapist said, “Ice, ultrasound, Aleve, rest.” All of which I did. I felt the same. On Saturday, the Expert and I took the kids to the gym to play while we did a run. I decided to skip the run and head to the spa to see if the evil (but awesome) deep tissue woman was in. She wasn’t, but someone else was available. I was feeling pretty low, so it was worth the risk. A few minutes later, the hell began. This new massage therapist was equally as tough. She worked my right shoulder, my rotator cuff, and my chest muscles (yes, that’s under boobage action) until I was writhing in pain. She had a little tool that she was jabbing five feet into my armpit (which is apparently how you get to the rotator cuff? ), and it was so painful… She might as well have gone through my elbow. I laugh when people say “Ummmmm hmmmm, must be NICE to get a massage.“ If you get the right kind of massage… it’s nice to when it’s over. Well, after twenty minutes or so of torture, all of the sudden, I felt the pain in my shoulder release. I am holding my breath. I am not swimming this week. But I think it’s possible that she worked out my shoulder issue. I can feel a little twinge still, but not a sharp, shooting pain. Progress! 3) Swim and bike as usual 70.3 training. I know I’ve been barking alot recently about feeling lost, in a rut, and a complete post-race depressed mess. But I think I’m coming out of it, and able to put myself in the proper frame of mind for eating well, training hard (and smart) and managing the extra parts of my life as well (work, family, bills, and holidays). I had a short spin and short run this morning. I felt strong in my run and was able to hold proper form (or as close to proper as I can swing) for the entire 2 miles. Yes, I was up to 9 or 10 mile runs easily before Miami. But the more I think about it, these longer runs were always very difficult, and I hurt for days and days afterward. In fact, the pain on any run started at about Mile 1.5. Working on my form just a few short days has done wonders. 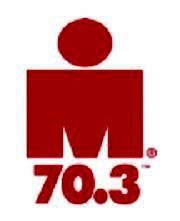 I have to be patient during this time, stay healthy, and keep my head in the long-term game (New Orleans 70.3 in April). Release the fears, release the doubt, and keep moving forward. I hope you all have a great week. A few weeks ago I threw my back out not running, biking or working out, but making my bed. Frustrating, isn't it? You're doing a great job taking care of yourself. That is awesome your shoulder is feeling better! Good for you for getting the right kind of massage/chiro/therapy! I'm such a procrastinator on that front–unless I've got a really big race coming up. Hope the shoulder continues to get better!